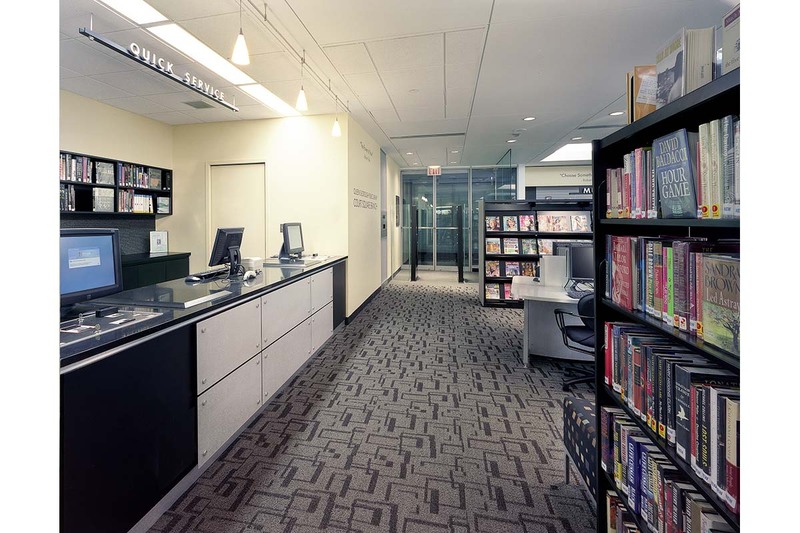 MDA performed planning, design, and construction project management services for a “Magic Makeover”, sponsored by Library Journal, to transform a mini-branch in the base of an office tower into a highly-efficient fuller service “Express Branch”. 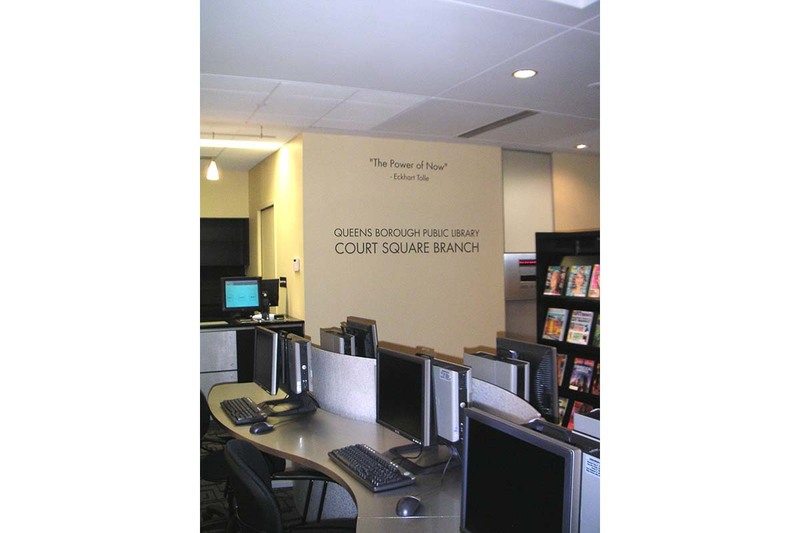 The rapid makeover brought state-of-the-art services such as RFID self-check and automated return sorting, ten public computer stations, and a DVD viewing station – all in an environment reflective of the QBPL’s innovative vision for library service. 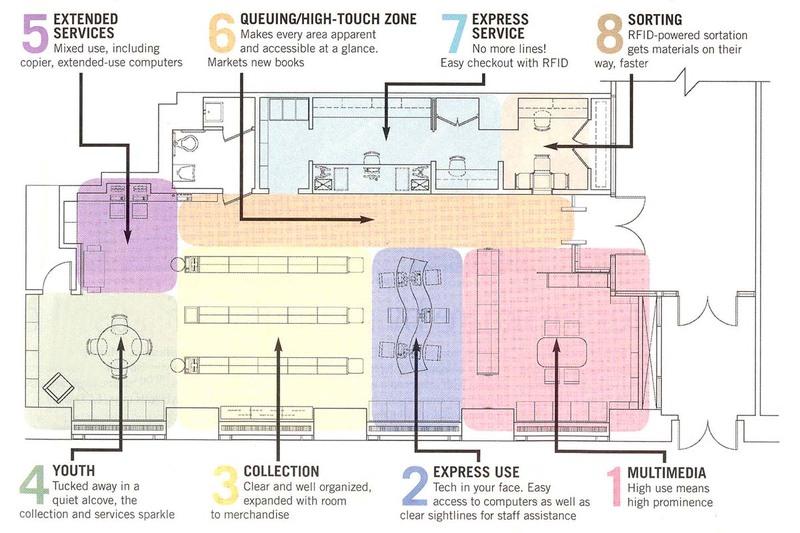 By creating a logical array of zones to support service goals, MDA used every inch of the limited footprint to maximal effect. 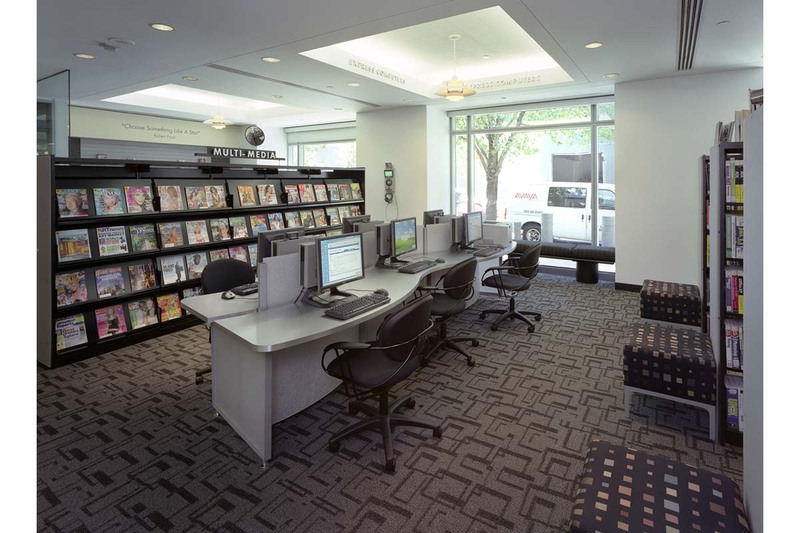 The new layout quickly cues visitors to the library collections and services. 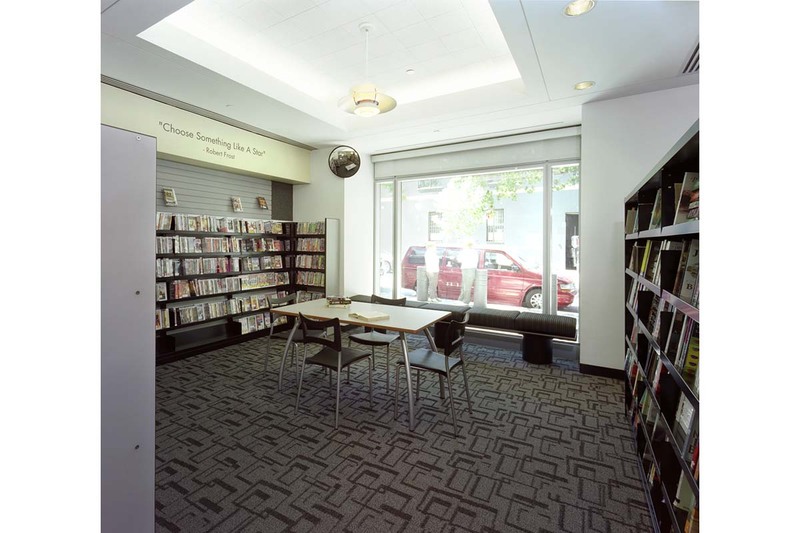 It highlights popular collections with face out display and well-positioned shelving. Gentle curving forms and coordinated color and materials create a unified spacious interior. 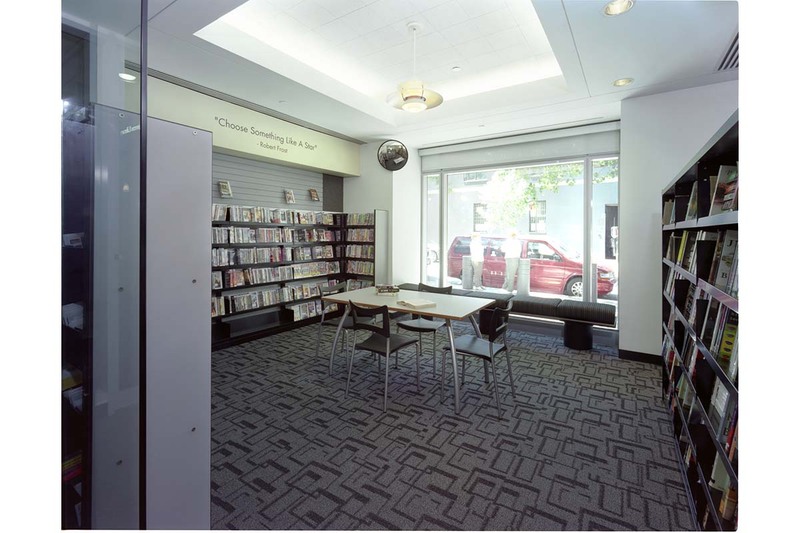 The project was profiled in a supplement to Library Journal’s September 2005 issue. 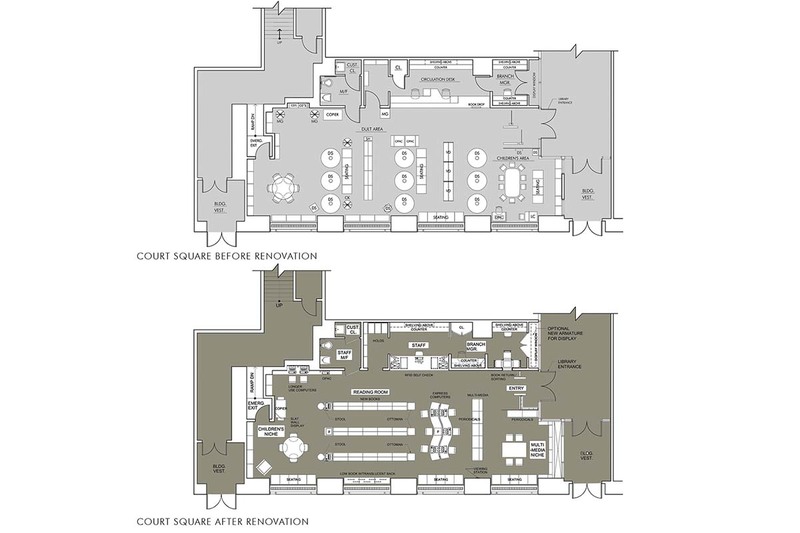 In three short weeks of construction time, the transformation was complete and the library re-opened to rave reviews from its devoted patron base. 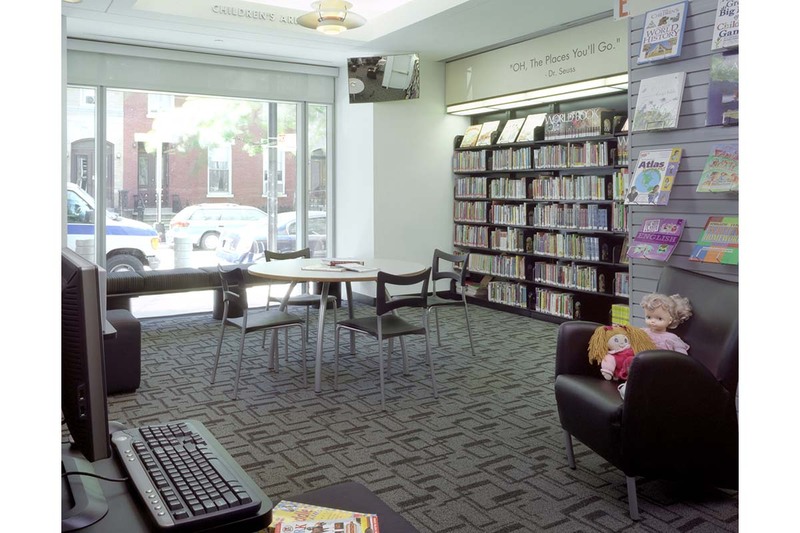 Proof of the success is clear from a client comment on opening day: “I love the library, but I did not know you were expanding it!” Congested before, expansive and functional now – isn’t it great that she felt that it did!